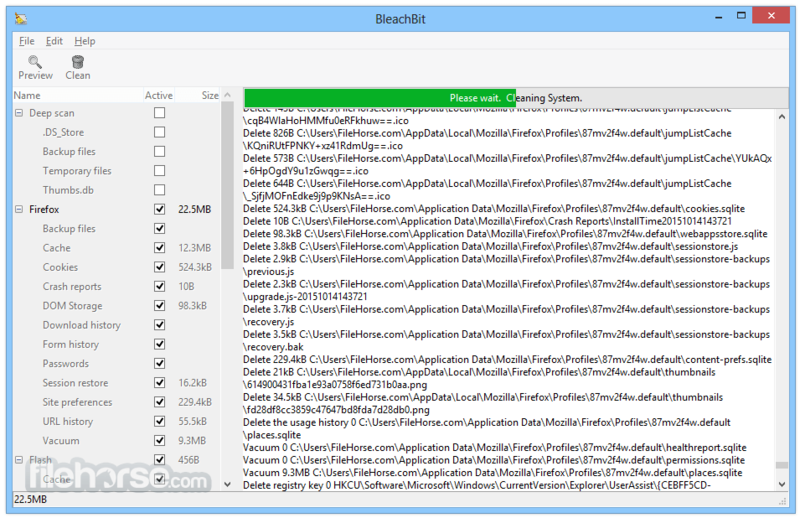 It includes a growing list of cleaners. 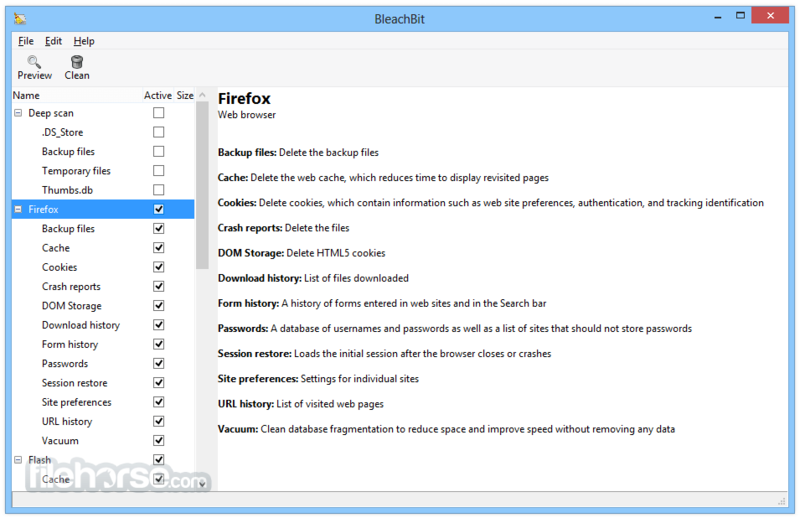 Typically each cleaner represents an application such as Firefox or Internet Explorer. 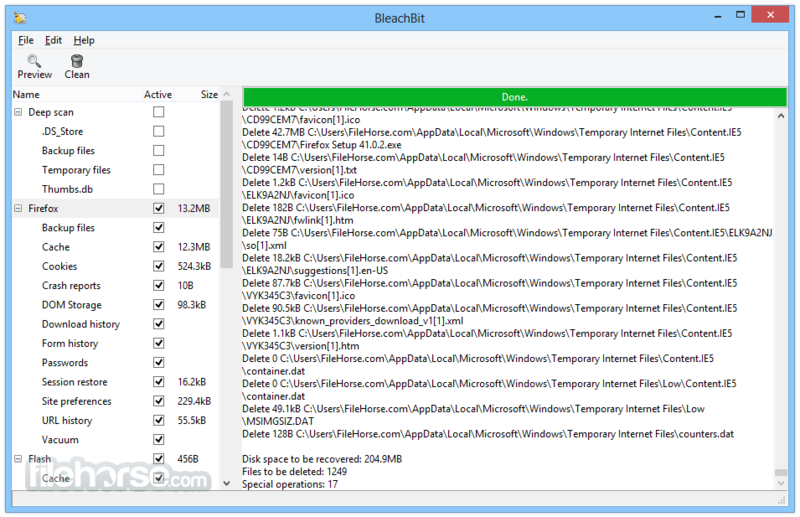 Within each cleaner, BleachBit gives options covering components that can be cleaned such as cache, cookies, and log files. Each option is given a description to help you make good decisions.